So, I love telling Gummy, my mother-in-law, about my trigger finger. I hold my right hand up, and my middle finger just curls into position because of a tendon problem. Hey, Gummy. Look at the problem I'm having with my hand. We sit side by side in the memory care unit of assisted living showing each other our middle fingers and laughing. Since Gummy has such advanced dementia, with almost no short-term memory recall anymore, this joke never gets old for her. Sadly, I've not gotten tired of it either. Fact is my trigger finger is from writing this book about us. Not from typing, but from scrolling the button on top of the mouse miles a day during all the back and forth edits with my editor. Writing about your mother-in-law is worse than dangerous. Saffi falls in love with and marries her mad scientist, never expecting to find the most profound friendship of her life with his mother, Gummy. She doesn’t particularly care for the woman, and the feeling seems to be mutual. Thrown together by circumstance, they forge a bond based on necessity, animosity, and begrudging respect. Neither knows it will last long after they no longer recognize each other. Memory loss changes more than the person who can’t remember. It changes those who can’t forget. 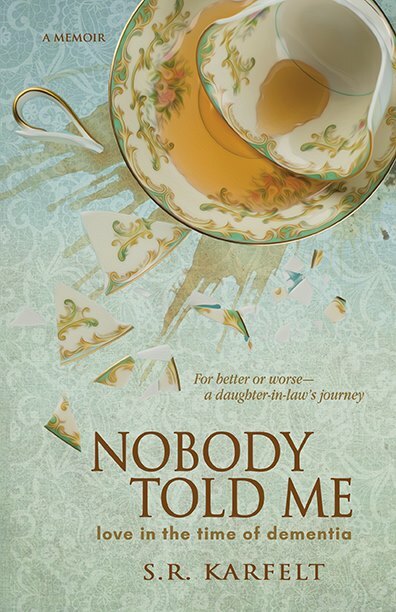 Nobody Told Me is the story of a complicated and powerful relationship—the love between two women who love the same man and the struggle to hold on as dementia erases past, present, and future. This is the easiest book I've ever written. All I had to do was tell the truth. This is the hardest book I've ever written. All I had to do was tell the truth. NOBODY TOLD ME love in the time of dementia is my first Non-Fiction book. It's not something I planned to write. It happened because writing is how I cope. 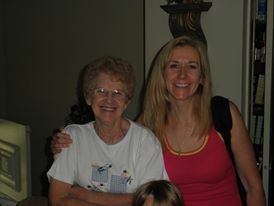 When I became the caregiver for my mother-in-law, writing became a way to vent my frustrations. It also allowed me to reminisce about our shared past and explain to myself how the two of us ended up where we are now. That's with one of us drifting into the void, and the other pacing, trying to make sense of something so senseless. Dealing with change has never been my strong suit. It's not that I don't like change. There are times I can grab my purse and head off into a whole new life and not look back. This is different. It's the kind of change I can't delude myself about. It's not going to have a happy ending. It's not okay. It's not something I can run away from. Dementia has to be stood and faced, and most days it's like looking into the abyss. Gummy and I face it the same way we entertain each other in memory care, with our middle fingers up. That's all we've got, I'm sorry to say. The book releases May 19th. It's available in all those bookish places that deal with hardcover escapism and caffeinated bliss. It's in all those virtual stores too. Get your middle finger primed, and let me know what you think. Don't overuse it though. It can freeze like that. Ask Gummy.